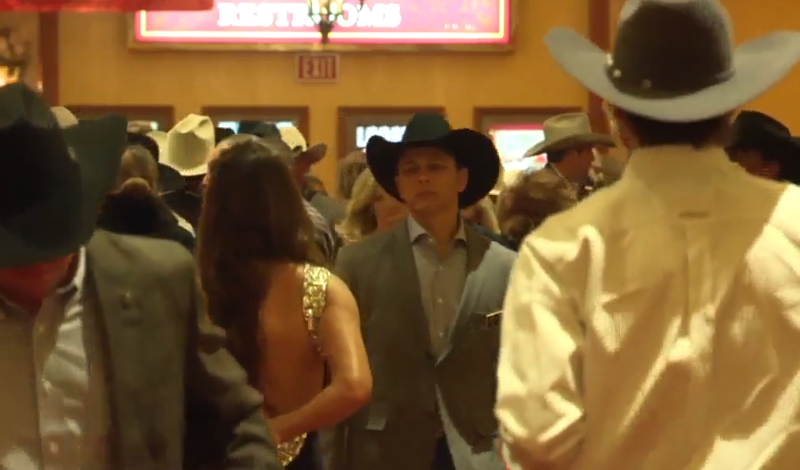 LAS VEGAS (KTNV) — The Wrangler National Finals Rodeo Week kicked off at the South Point Hotel Casino Tuesday night with a gold carpet event and welcome reception hosted by the Professional Rodeo Cowboys Association. More than 10 days of rodeo-related events bring thousands of visitors to Las Vegas who come for the competition and the camaraderie. Whether you are a cowboy or just want to see them in action, the Wrangler National Finals Rodeo is where it all happens. According to the Las Vegas Convention and Visitors Authority, the 2017 attendance topped more than 160,000 with all of those people filling up convention and hotel rooms and easily dumping millions into the local economy. "Everyone looks forward to the event in Vegas. The 10 days in Vegas,” said Shane Procter, who is in town from Oklahoma. "Farmers will save up a year just to come down because of tradition." It attracts the top 15 contestants from around the world in events like bull riding and barrel racing. Steve Stallworth is the arena general manager at the South Point. "This is a great event for our city in December every year,” said Stallworth. “Ten sold out shows, we have about 14 or 15 days worth of events here." Kiana Uechi-Won is competing in the Miss Rodeo America Pageant. She came all the way from Hawaii where she is the state title holder. “I run barrels. I team rope,” Uechi-Won said. The Miss Rodeo America Pageant is also another event going on during the week of the rodeo that contestants say it compares to a Miss America competition. Other events include Cowboy Christmas, the World Series of Team Roping at South Point, barrel racing at The Orleans, and performances by some of the biggest country talent at various hotel-casinos around the valley. For a complete list of events, click here .